What an amazing app! The soundscape music is beautiful and the app is extremely informative. 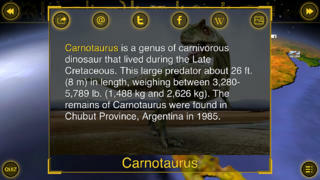 It teaches learners all about the natural world since the beginning of time. The app receives a well-deserved EAS Certification of 5 Stars and EAS Recommended Status. 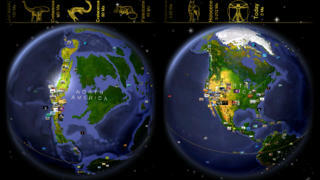 The app demonstrates how our beautiful Earth has evolved throughout its billion-year long life-span. The learner will get fantastic insight into how the natural landscapes, our geography and animals have developed to where we are today. This is an app that is suitable for all ages as it holds a breadth of information that is eye-opening, informative and engaging. When you first open the app you are faced with a view of a 3D Earth. At the top is a scrollable time-chart that leads you to graphical information from the Proterozoic era until today. Overall there are 19 fascinating time periods to choose from. It is amazing to see how the geography also changes to emulate how tectonic shifts have affected our own land (and indeed country formations- hence “Continental Drift” title). The app would be great to use within the classroom, with a teacher explaining why the shifts in the country formations occur. 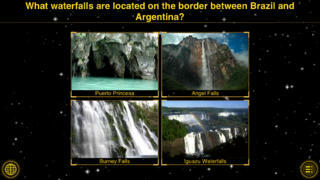 This type of information is not included in the app therefore; the app is useful as a tool to accompany learning. For example, a teacher could talk about the animals that are extinct, why they are extinct and then to consider why there are periods in which whole countries are covered in ice (the Ice Age). This is the killer app for the Natural Sciences and Humanities. 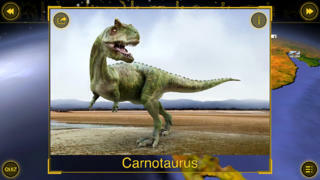 The 3D Earth image is interactive so that you can zoom in and out, press on the pictures in order to found out further information about the animals. There is a quiz at the end which tests the learner on the knowledge that has been accumulated whilst browsing via the interaction with the globe. If you have not read all of the information the globe, it is still possible to do the test via trial and error as all the information is in the pictures. At the end of using this app, you will come out with a lot fascinating knowledge about the world’s most poisonous spiders, the largest cave systems in the world or the birds with the longest migration routes. This is a fantastic app. You will have plenty to work with for a long time as it will take a long time to get though the plethora of amazing information. When people say that due to mobile technologies we now have the world at our fingertips, the statement could not be truer for this particular app. Millions of years ago the Earth looked quite different from what it does today. This app is a stunning visualization of a billion-year-long change happening in less than a minute. It will also show you who inhabited the planet in respective time periods and tell you all about them. 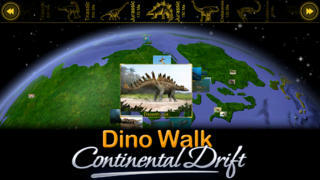 The educational series of Walk apps by Vito Technology includes Star Walk, Solar Walk and Geo Walk and has been recognized by teachers and parents all over the world.